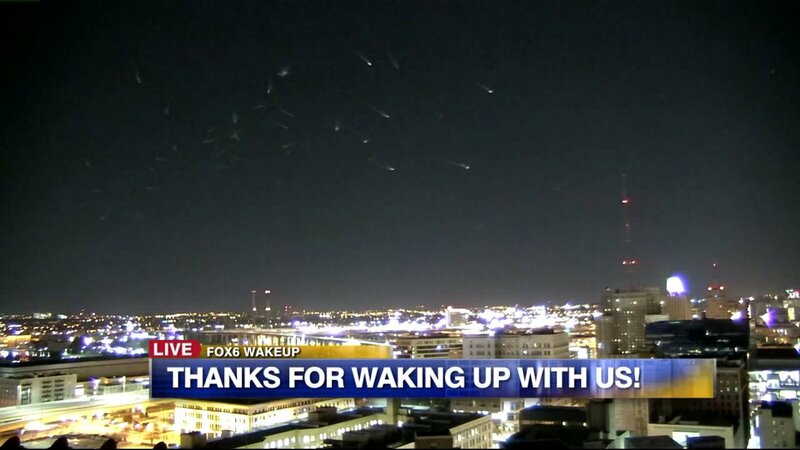 Home » VIDEO: Strange, Mysterious Lights Captured On Milwaukee TV News Station Recording. What Are They? Aliens? UFO’s? Birds? Bugs? Well here’s something you don’t see every day. Video Description: Mysterious lights over Milwaukee 2/27/18 – Quick moving lights appeared over Milwaukee Tuesday morning and were captured live on TV from FOX6. Any ideas? UPDATE: Seagulls. Apparently the mysterious, streaking lights are just a flock of harmless birds. … or at least that’s what they want us to think.